With Hurricane Irma still on track to make landfall in southern Florida at the weekend, the process of preparation was gathering urgency in the state and elsewhere in the storm’s likely path on Thursday. 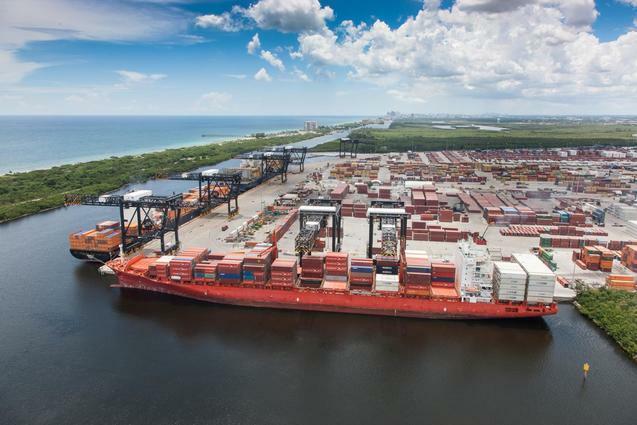 The US Coast Guard (USCG) declared port condition X-Ray for Port Miami, Port Everglades and Port Canaveral – all better known as cruise ship terminals but also major cargo ports. X-Ray means they remain open but face possible movement restrictions on Friday. Ocean-going merchant vessels have been asked to depart before the storm arrives. Port Everglades said USCG has told it to expect port conditions Yankee and Zulu to be set on Friday morning and night respectively. Under Zulu all inward traffic will be suspended and vessel movements in port will be restricted. Florida governor Rick Scott acknowledged the forecasts could not specify if the east or west coast of the state would be hit but he advised all residents to beware surges from the powerful winds. Oil terminals in south Florida are tracking the storm and others in the Caribbean are taking more immediate action. Buckeye Partners’ Bahamas terminal, known as Borco, has been closed to vessel traffic and will be shut down by the end of Thursday. And Statoil was shutting down its South Riding Point storage and transshipment terminal in the Bahamas. Offshore oil companies are beginning to take preventive measures, evacuating manned rigs and platforms. Supermajor BP is evacuating its Thunder Horse platform 150 miles southeast of New Orleans as well as its West Vela rig also in the Gulf of Mexico. Hurricane Irma has already taken several lives and wrought devastating property damage on some Caribbean islands. It swept past Puerto Rico but still did enough damage to leave as many as a million people without power and 150,000 without running water.